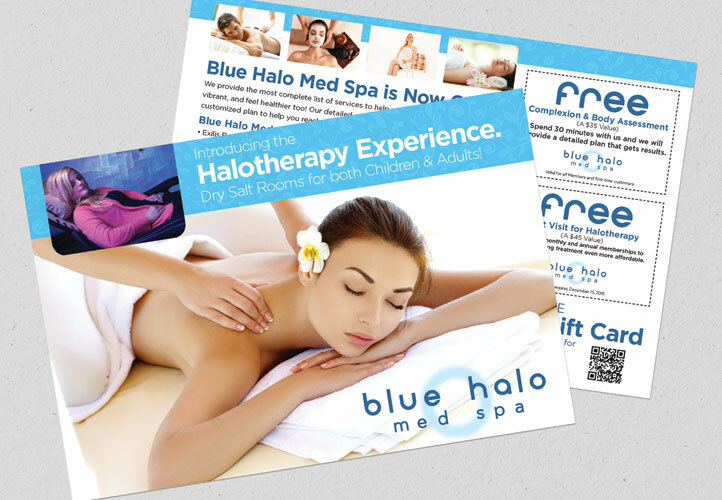 Our client launched her business in September of 2015 as the first full-service med spa in Kentucky to offer Halotherapy (dry salt therapy) with rooms for both Children and Adults. They needed everything from a business name and logo, to packaging, direct mail, print and digital marketing and signage. 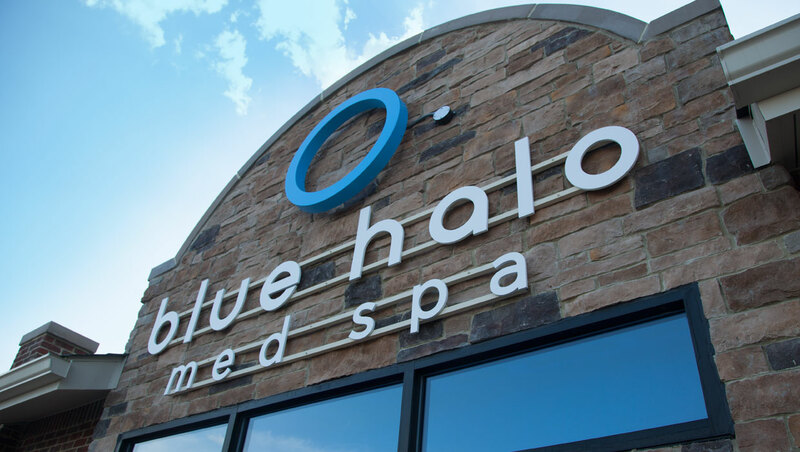 Blue Halo Med Spa offers the most comprehensive, medically supervised spa experience in the region. 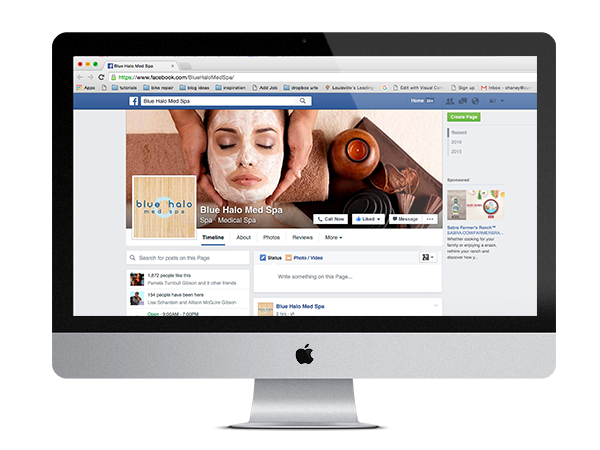 The business continues to grow with over 1,500 Facebook followers and a healthy and happy client base that return often to take advantage of the spa’s advanced techniques in helping people look and feel their best.  Our client came to us with nothing but an idea. No name. No building. No brand. The vision was simply to open a med spa prominently featuring Himalayan Salt Therapy treatment, the first in the state. As we began to explore how to support this vision with a business name, we uncovered a unique branding opportunity. 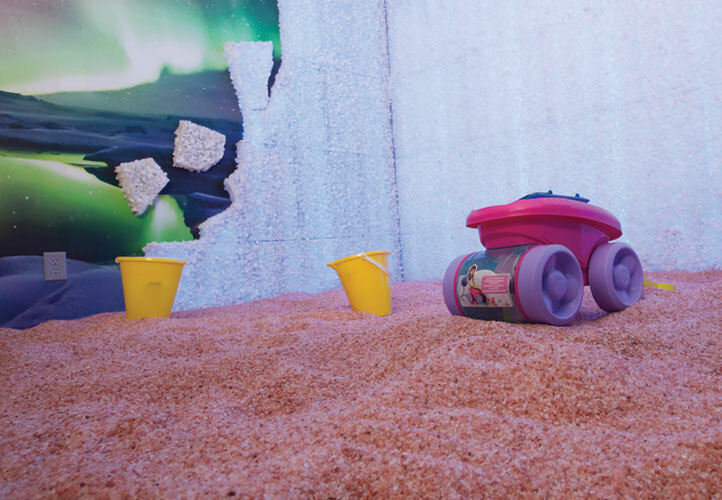 Turns out that Salt Therapy is also known as “Halotherapy”. What could be done with the word Halo? Blue is known to be a calming color. It’s the color of the sky and the ocean. Relaxation and rejuvenation are at the heart of why one visits a med spa. 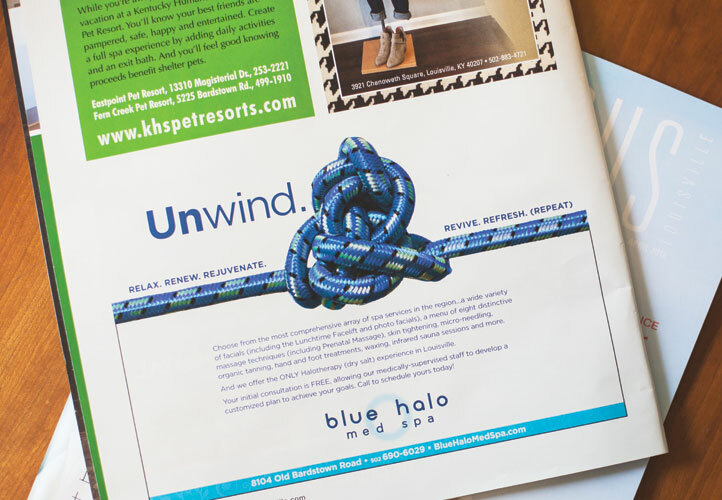 Blue Halo seemed to be the perfect complement to the descriptive “Med Spa,” as they would also offer everything from Botox® and fillers to cellulite reduction and weight loss programs. 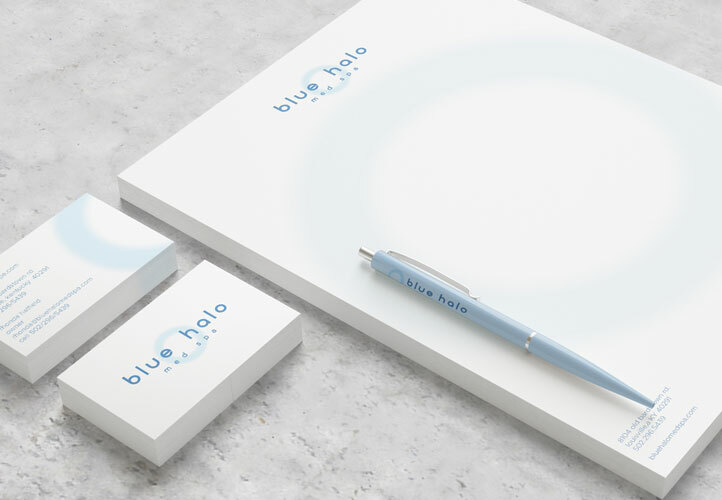 With name in hand, we turned our sights to creating the perfect “halo” and appropriate type treatment, with emphasis on making sure everything projected a very clean and inviting feel. On September 28, 2015 we shared our first offer on our Facebook page. This post reached 22,714 people and was shared 228 times. The following post with the same offer reached 45,937 people and had 283 shares. 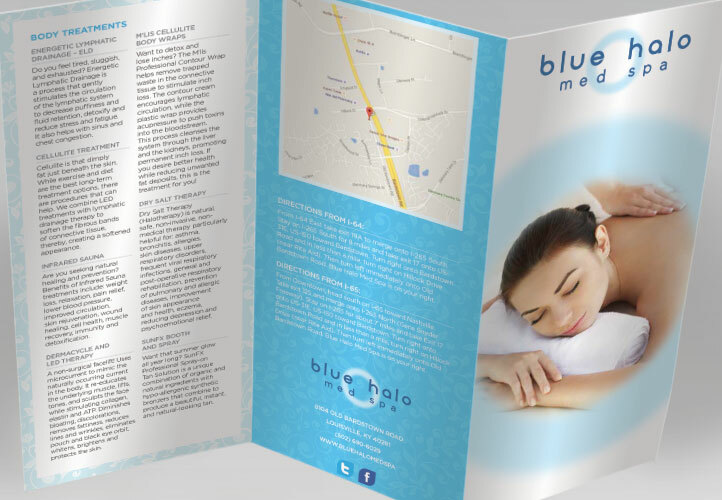 Blue Halo Med Spa had reached 68,651 individuals within the first few weeks of opening their doors to the public. From September first 2015 to April 3, 2016, Blue Halo’s Facebook page has acquired 605,246 impressions by 423,993 Facebook users.